Of all the people to praise on an international stage, Obama would twist and deceive the world into believing Bin Bayyah is a man of peace representing a religion of peace. This cleric is affiliated with various anti-American groups, was vice president of an organization founded by the Muslim Brotherhood (which also called for the killing of Jews and Americans), and during the 2013 White House public tours shut-down when Obama refused to allow American citizens to visit the public sections of the People’s House, Bin Bayyah was invited into the private areas of our White House. This week saw more than the disrespectful latte salute of America’s finest. We saw and heard from dear leader’s heart who he deems worthy of praise. In an interview with Former Alaska Governor Sarah Palin at her Alaska home, Wacko Birds author and Breitbart News Senior Editor-at-Large Joel Pollak said Hillary Clinton will try to be 2016’s “Snapchat candidate” because she desperately wants to erase her past. Palin, who revolutionized the way in which social media sets the news cycle, invited Pollak–who worked with the late Andrew Breitbart, the new media pioneer who started one of the most prominent news outlets in the new media era–for a discussion about his new book. And the two surely discussed the importance of pop culture and non-legacy outlets in conservatism’s future, among many other topics. “People could fill that blank space,” Pollak said of Obama’s crowdsourced campaign that employed some prominent former Facebook officials and ran circles around Hillary Clinton’s stodgier and more flat-footed apparatus. 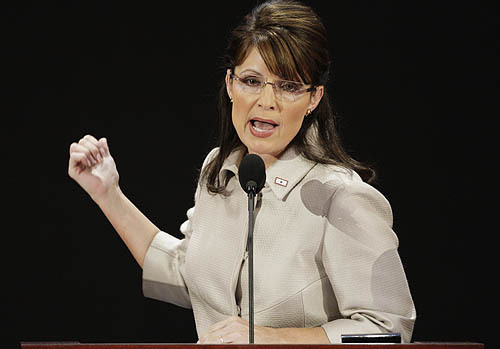 “Hillary Clinton Wants to be the Snapchat candidate because she wants to make her past disappear,” Pollak told Palin. Palin observed that the Clintons have the “luxury of reinventing themselves as much as they want” because they have a compliant media that is more than willing and able to help them. 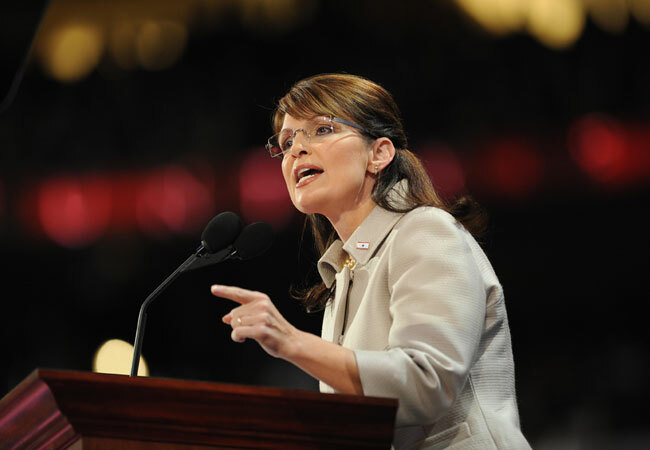 That is a luxury, as Palin discovered, conservatives–and outsiders of all stripes in general–do not have. After observing that today’s kids probably think Facebook and Instagram are passé, Palin, whose personal emails were once infamously hacked (the hacker eventually received a one-year jail sentence. ), asked Pollak, “And do [Snapchat users] think it really disappears forever.” Palin’s right–the “snaps” don’t really completely disappear. Palin and Pollak discussed how even regarding the most recent events involving Hillary Clinton, the media conveniently want to shove her failures–like Benghazi–under the rug. And they often ignore that Clinton was Obama’s Secretary of State whenever she jabs Obama’s foreign policy failures. But because of Matt Drudge, the late Breitbart, and the rise of social media that has amplified the voices of conservatives like Palin even more, it will be more difficult to whitewash Clintons’s record should she enter the 2016 presidential race. Three years before Matt Drudge changed the news business forever by breaking Bill Clinton’s affair with Monica Lewinsky on his website, the Clinton White House feared that the Internet would weaken the mainstream media’s palace guards. Drudge has now become the de facto assignment editor for the mainstream media reporters and editors who once lambasted his website. Similarly, political operatives, mainstream media writers, and everyone else in the permanent political class who mocked Palin for bypassing them and Tweeting to get her message out in 2009 now obsessively use Twitter, often compulsively checking in the first thing in the morning and right before they go to sleep. As Pollak details in his book, since Obama was elected, the mainstream media have given favorable treatment to Occupy Wall Street while denouncing the more peaceful Tea Party movement. They combed through Palin’s records–and found nothing–while ignoring Obama’s past and his administration’s scandals–like the IRS’s targeting of conservatives. The media tried to amplify stories about anti-illegal immigration rallies that drew few supporters while fabricating the number of supporters at pro-amnesty rallies to make them seem larger and more powerful than they were. The media blamed Palin and the Tea Party for Gabby Giffords’ assassination attempt before they had any evidence about the shooter’s politics or motives. It turns out the shooter was apolitical and may have been offended that Giffords was cold to him at a previous event. That same media also blamed the Aurora, Colorado shootings on the Tea Party without any evidence whatsoever. But new media outlets were also able to expose and combat these lies more ferociously than ever before. The late Andrew Breitbart, who worked with Drudge for many years behind the scenes, deftly used Twitter to maximize its “force multiplier” effect. And Pollak’s book details “the important role played by Andrew Breitbart and conservative new media in defending the Tea Party at several critical moments” in the Obama era. But, as Pollak goes into depth in his book, Tea Party conservatives still face challenges even as they make plenty of advances in the new media era. If Hillary Clinton runs in 2016, the media will redouble their efforts to again elect one of their own. And much like Team Hillary will have to learn from Obama’s successes and failures, Tea Party conservatives must learn from their triumphs and mistakes in the Obama era that Pollak details in his book to combat the Hillary industrial complex. Ft. Wasilla is fully engaged. You’ve been warned! Palin showed once again how she, like Breitbart, could inspire conservatives, be funny, and mock liberals in a way that allows her message to cut through the mainstream media’s filter. Here are the top ten quotes from her address. As we honor Andrew Breitbart, remember his greatest gift he left for us is fearlessness … and I would hope … that you would be able to reload with that inspiration of his fearlessness … stand your ground and others will stand with you .. courage inspires courage .. victory begets victory … don’t retreat, reload with that inspiration. The new media rose up precisely because the old media failed to tell the truth. That very first new media breakthrough was about 15 years ago when this lowly little store clerk in a lowly little apartment equipped with his computer and a modem broke one of the biggest stories of the decade. His name was Matt Drudge and the rest is history. And in hindsight, we see that the story he broke was more than just a president having an affair. To me it was much, much more than that. It was about a major old media publication that had spiked the story eleven times. And they knew all about it. Eleven times! Not just once to check their facts. Not twice just to double-check. Eleven times they spiked the story. Why? Because as charter members of that Democrat Media Complex they were protecting their guy. So, when a fellow with a modem and a website found out about this, he decided to tell the truth they refused to tell. And oh how that old media cried foul and they howled. They denounced Drudge as irresponsible and unprofessional and even dangerous and anti-everything from motherhood to apple pie. How dare that nobody from nowhere without a degree or a pedigree try to influence the national discourse. But the real reason they feared him was because he wasn’t beholden to the old media’s machine and the Thought Police. Unshackled, he was free. And a few months later, Drudge got to speak at the National Press Club in DC. He predicted the future in his speech there. He said, “We have entered an era vibrating with the din of small voices. Every citizen can be a reporter, can take on the powers that be….I envision a future where there’ll be 300 million reporters, where anyone from anywhere can report for any reason. It’s freedom of participation absolutely realized.” Thus the birth of citizen journalism, and you are the future he predicted! Why did they (the mainstream media) at least not read his autobiography? … they would have learned a whole lot … about pot smoking and cocaine smoking and what he ate … Fido. Rufus. … I find it funny that I get a hard time for eating elk and moose … come on, does anybody have a pet moose? There’s a difference. Breitbart said ‘culture is upstream of politics’ … it’s not selling out, it’s infiltrating and influencing. Governor Palin, like many Americans, is expressing concern over remarks that were made by President Obama during what was intended to be a private conversation with Russian President Medvedev. Unfortunately (though fortunate for the American people), Obama’s comments were picked up on a “hot microphone”. Exactly what does President Obama mean by “more flexibility”? 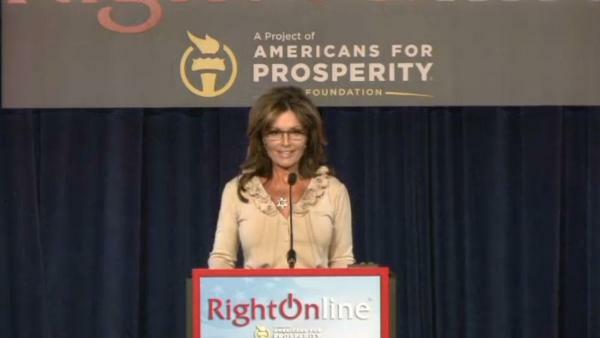 Palin speculates on “more flexibility” based upon President Obama’s record. 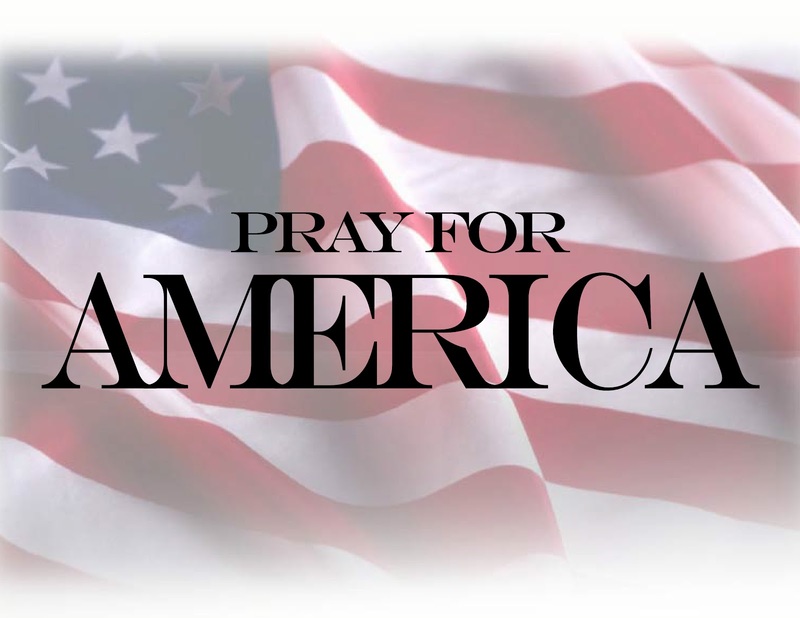 The following was posted to Sarah Palin’s Facebook page earlier today. Let’s consider what this “flexibility” might mean. We know that he has repeatedly conceded to foreign demands and backed down on missile defense. I pointed this out as Governor of Alaska when he proposed reducing Alaska’s missile defense system capabilities. I explained then that the President’s proposed military cuts would diminish Alaska’s opportunity to defend the union with our strategic location’s defense infrastructure. We also know that in 2009, as part of his “reset” with Russia, President Obama turned his back on our Eastern European allies by abandoning past promises for a missile shield in Poland and the Czech Republic. On the heels of her beat down via Facebook, on Tuesday morning, Sarah Palin went On The Record with Greta Van Susteren on Tuesday night, where she continued to whip Obama like a rented mule. It’s unbelievable to me that you spent last week in campaign mode, gallivanting around the country to start raising the billion dollars for your reelection bid that is still 19 months away “while Rome burns.” Our economy is in the tank; jobs are as scarce as ever; you’re asking Congress to let you incur even more unsustainable, immoral, freedom-stealing government debt; and many of our brave men and women in uniform are shaking their heads in disbelief over your befuddled military directions. Yet instead of working with Congress and a wise multitude of advisers to fix some problems, you choose all this campaigning, already? As was recently asked: When do you ever just “roll up your sleeves, unplug the teleprompter” and do the job of governing and administrating for which voters hired you? After hammering Obama for being in campaign mode, and trying to raise $1 billion for an election that is [gulp] 19 months away, instead of focusing on the nation’s challenges, she starts in on high gasoline prices, Libya [and Obama’s incoherent foreign policy in general] and more. Sarah reminds us we can’t afford to have the nation’s Commander-in-Chief, our CEO, in campaign mode while “Rome burns“! Sarah goes on to say it’s almost like Obama can’t be bothered by all of these issues of the day because he’s too busy either running for re-election, playing golf, or going on holiday! She goes on to say, if that’s the case, the best thing is for government to just get out of the way! Stop with the insane regulations, quantitative easing [printing money, monetizing the debt], coming up with more “stimulus plans” and other nonsense, and just let private businesses and the free market do it’s thing! Sarah bluntly states nothing is going to change until Obama is out of office. This is a wonderful interview. 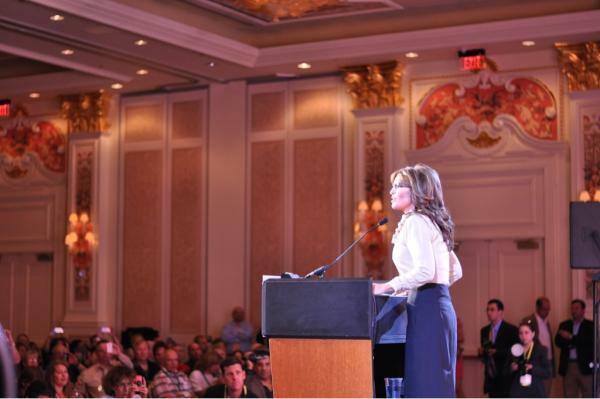 Sarah Palin is proving she is a confident stateswoman, and very much at ease talking about issues and policy. This folks, is what a leader looks and sounds like. I know it’s been a while since most have seen or heard one, which is why I point this out. There is also a twinkle in Sarah’s eyes. She’s a warrior, but a happy one. She reminds me so much of the great Ronald Reagan. 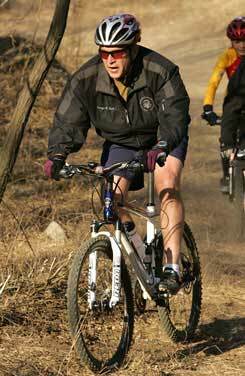 He was one tough hombre, but he was always happy and optimistic as well. Sarah comes off the exact same way. Both in this interview, as well as her Facebook smack-down. She’s tough, but not mean, and uses a fair bit of sarcasm and wit to go along with the beating she’s giving Obama. The entire interview is powerful, insightful, and even a bit of fun. At one point she off-handedly mentions Bill Ayers and the fact that he “allegedly” wrote Obama’s first book. She did this as she was taking a shot at Trump and others who were wasting time on nonsensical issues, while REAL issues were being ignored. She points out the media is loving these distractions, as is the Obama regime. As we have noted before, the “birther” issue helps Obama more than it hurts him. What she’s saying is: Now that Trump has everyone’s attention, he needs to be talking about substantive issues, something he is not doing. This all gets back to what she told Sean Hannity last week, when she said it was way too early for her, or anyone else to be running for President. Too many more important issues to be focused on, rather than wasting time gearing up for 2012 and an election that is still almost 2 years away. Sarah also gets a nice little shot in at Katie Couric at the end of the interview. Dee-licious!